In line with manufacturers price increases, we will be amending prices on all Pentair-Hypro (and Lurmark) products on the website. These changes will begin to take effect from 12 September. We have held prices on some Hypro products for 4 years, but in light of now twice yearly price increases, we have no option but to change prices to reflect our higher trade costs. You can find Pentair Hypro Products on the website here. This entry was posted in Industry News and tagged crop sprayer nozzles, Crop sprayer parts, Hypro, hypro price increases, Lurmark, Pentair, pentair price increases on September 10, 2018 by agratech. This years YAMS show will take place on Wednesday 8th February at the York Auction Centre, Murton, York, YO19 5GF, and whilst Agratech are not exhibiting, we are visiting (so there will be disruption to orders that day). This entry was posted in Agratech News, Industry News and tagged Agricultural machinery shows, agricultural shows, www.agratech.co.uk, YAMS show, Yorkshire agricultural Machinery Show on January 30, 2017 by agratech. Defy 3D Nozzles launched & available from stock! An evolved version of the 2004 “Hawk” spraytip and the later “Defy”, the Defy 3D nozzle launched late August 2015 and is claimed to help improve Grassweed control and reduce spray drift. Syngenta application expert Ben Magri says the Defy nozzle has now been trumped by the new Defy 3D, further improving coverage and reducing drift by a huge 60-75% over the standard flat fan, depending on nozzle size. “Although the Defy was very good, the coefficient of variation – or evenness of spray – along the boom when alternating forward and backwards wasn’t as good as it could be. “You would get the “rugby ball” effect, whereas the new 3D nozzle gives perfect 50-50 distribution between front and back and was the main reason for the redesign,” explains Mr Magri. In Syngenta trials the improved nozzle performance has equated to a 6% improvement in blackgrass control when using a Liberator + Defy pre-emergence herbicide stack in 100 litres/ha of water. You can order the Defy 3D Nozzles, and the correct caps from Agratech here. *Free Shipping is a limited time offer, and applied at time of writing. This entry was posted in Industry News, New Products and tagged Blackgrass, Defy 3D, defy 3d nozzles, grassweed, hypro defy, New defy 3d nozzle, pre-emergence, spray nozzles, Syngenta, syngenta defy, www.agratech.co.uk on September 2, 2015 by agratech. A new event, ‘Prosper and Grow with Organic’ has been announced, as part of the Organic Trade Board’s (OTB’s) campaign to increase organic sales in the UK. The event, which is to be held on 4 March at the Royal Institute of British Architects (RIBA) venue in London W1, will focus on how Organic can increase retail growth, expanding choice for consumers and considering what makes your customers choose organic anyway. Industry expert speaker Claus Juel-Jensen, CEO of Netto Denmark will explain how organic lines have played a big part in the growth and success of Netto – a discounter. Whilst Klaus Arntz, Executive Vice President of Wessanen, will be showing how Wessanen’s brands such as Kallo, Clipper, Bjorg and others are delivering growth to retailers across the EU. There are further details here, along with booking information, on The Organic Trade Board’s website. This entry was posted in Industry News and tagged Organic food, organic gardening, Organic Trade Board, OTB, prosper & grow with organic, RIBA events on February 17, 2015 by agratech. Suffolk FWAG will concentrate on the industry 2020 vision at its Spring Conference to be held on Friday 13th February. FWAG,The Farming and Wildlife Advisory Group, has branches across the UK. These groups have helped British farmers for over four decades by providing trusted, independent environmental advice. The Suffolk Group kick off the conference season with an indepth look at how agriculture will meet its targets on issues such as water quality, farmland birds, pollinators and long term sustainability. It will also question whether a new CAP, a new Countryside Stewardship Scheme, the introduction of greening and EFA’s will actually help farmers deliver increased environmental benefits whilst still running a profitable, sustainable business? Are the new policies, regulations and schemes an improvement on the old ones? You can find more details about FWAG via their website, and details of the Suffolk group Spring Conference is here. This entry was posted in Industry News and tagged arable farming, Countryside Stewardship Scheme, Farming & Wildlife Advisory Group, FWAG, SuffolkFWAG, sustainablity on February 11, 2015 by agratech. 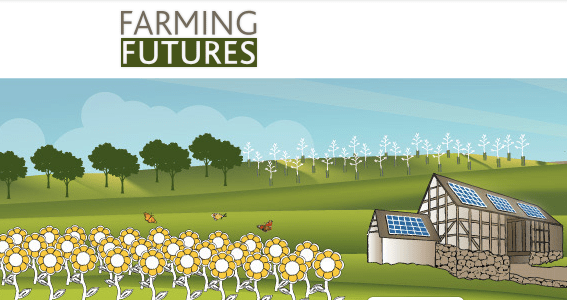 Farming Futures have an extensive list of forthcoming events around the country to explore and find practical solutions to issues around climate change and the future of farming. Topics include renewable energy generation, precision farming, livestock emissions, nutrient management, and water management. This entry was posted in Industry News and tagged climate change, farming futures, farming related events, livestock management, precision farming, renewable energy on February 5, 2015 by agratech. A robot developed by a consortium of European Wine Producers is set to help provide fast, reliable and objective information to the vineyard managers, to ultimately improve yield and productivity, but will not replace the human eye and taste! “Robotics and precision agriculture provide producers with powerful tools in order to improve the competitiveness of their farms. Robots like the one we are developing within this project will not substitute the vine grower, but will facilitate their work….It has several advantages including the ability to predict grape production or its degree of ripeness in order to immediately assess its quality without touching it,” said Javier Tardaguila, project manager and researcher at the University of La Rioja, and Francisco Rovira, researcher at the Agricultural Robotics Laboratory of the UPV. This entry was posted in Industry News and tagged Agriculture, Farming, science, vineyards, winerobot on February 1, 2015 by agratech. Flood damage to thousands of acres of English apple trees is causing a headache for Cider producers. The Winter floods have left apple orchards devastated, although the full extent of the damage may not be known for another six months or so. Many of these trees were planted over the past decae as popularity of Cidrr increased, and this damage could affect the industry for years to come. Last year around 1.5billion pints of cider were consumed! This entry was posted in Industry News and tagged apple orchards, cider, english orchards, floods on March 29, 2014 by agratech. The Edible Garden Show was launched in response to the grow-your-own revolution sweeping the country as many more people are choosing healthier and greener options to be incorporated into their lives. The show, which features not only the best advice and supplies for produce growing, but also Poultry & Livestock, Crafts, Kitchen cookery demonstrations and much, much, more will be at Alexandra Palace from 28th to 30th March. Hint: This is the weekend of Mothers Day, so if you have a green-fingered mum, this might make an ideal gift for her! More Information from the show website, click here. And don’t forget that Agratech sell all you need for your edible garden – click here to see our garden range! This entry was posted in Industry News and tagged alexandra palace, fruit and vegetable garden, Grow Your Own, poultry, smallholding, The Edible Garden show, www.agratech.co.uk on February 27, 2014 by agratech. Are you a Grow-Your-Own Guru? 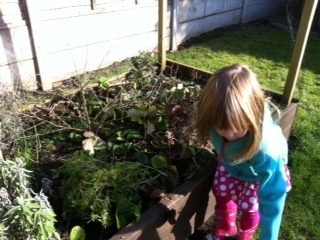 Do you have an abundant allotment or a bountiful back garden? The BBC is looking for participants for The Big Allotment Challenge to transform a plot of earth into a beautiful patch of edible lovliness. Sadly Little Miss Agratech below is too little to enter, as all entrants must be 18 or over. This entry was posted in Industry News and tagged allotment, BBc Take part in show, BBC TV, Gardening TV show, kitchen garden, The Big Allotment Challenge on February 26, 2014 by agratech.